Is it time to rethink/rebuild your website (and if so how should you do it? In 2018, probably your most effective marketing introduction tool (other than the actual client experience and value you provide) is your website. If done right, it will be optimized for search engine traffic from potential clients who may have heard something about you but aren’t quite sure who you are, and from others who may have a need for your speciality and unique offerings. But there is more to the story than SEO. 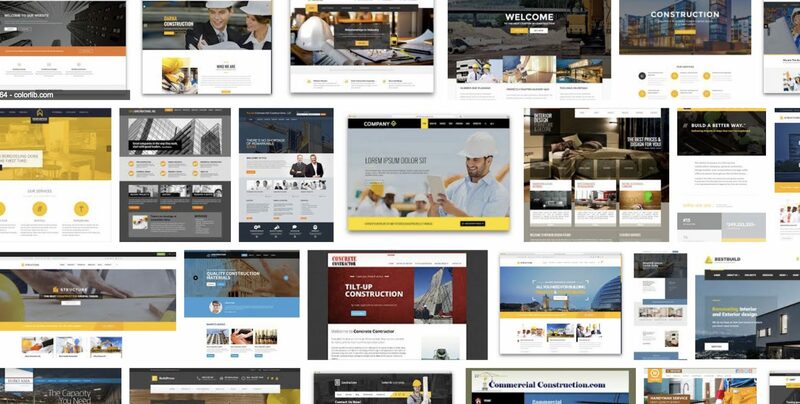 Your website is your portal; your connecting-point to the world, and that includes current clients, employees and contractors. It can be a repository for supporting material, and hold the key to your relationship-building and maintaining. The question is: How much money/time should you spend on the website, and what is the best way to go about the project to make it truly effective? The cash cost of a DIY website can be virtually zero. There are a number of commercial website builders out there, who will host the site on their domains, but the most cost-effective (and reputation-preserving, if you do it right) approach is to obtain your own domain (cost no more than $10 to $15 a year) and build a site that you host directly. There are two options for WordPress — a commercial service offered by WordPress (at WordPress.com) and the true DIY offer at wordpress.org. I have a bias for the latter because it is free and doesn’t trap you with any provider. WordPress.org asserts that you can set up and install your site in less than five minutes, but I know of no one just starting out who can do it that well. 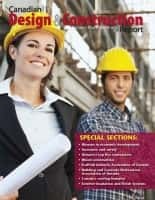 Frankly, while the DIY has cost-saving advantages, you need to decide if your professional skills and expertise are best spent on the endeavour. Instead of spending $5.00 to $50.00 on the true DIY option, you may spend $500 to $1,000 by seeking a consultant online to do the work. There are two primary marketplaces for these services, Freelancer.com and Upwork.com. Many of the less expensive designers/developers are offshore, but a surprising number are in North America. (I recently worked with an individual in Syracuse, NY, for the recreation of one site, and fixes on another, for a total cost of $200. If you go this route, you’ll need to know what you want and are doing, because the best results will come when you clearly outline the parameters and specifications and understand the strengths and limitations of various options. In some respects, the hiring process is easier for someone with a bit of DIY experience because you’ll have a sense about the other side of the fence. However, one point is that the marketplace services are so inexpensive that you can often throw away a job or two and still save money. Of course, that still doesn’t help you if your really don’t have the experience to make accurate and straightforward recommendations to the designer. And it isn’t going to work if you have an urgent deadline and can’t go wrong. Here you are dealing with a full-service agency, presumably with business development experts as well as specialists in various aspects of the design process. You’ll probably participate in plenty of meetings and listening sessions as the agency determines your needs and requirements and makes thoughtful recommendations. You’ll save some time in avoiding sweating the technical details, but give up other time in the consultations as the consultants drill down to find out what you really want. I’ve served a few clients as a professional marketing agency, and yes, subbed the work to offshore consultants/designers. Did my clients get value? Yes, because when things weren’t quite right, I took time to go back the drawing board until the problems were corrected, and certainly didn’t add to the bill. But I’ve seen other examples, especially for business start-ups, where this type of expense would hardly be justified. At the early stages of a new business, every discretionary dollar must be guarded and a variation of the DIY or offshore consultant approach may make the most sense. Whatever approach you take, make sure that you have a clear vision of your unique selling advantage and what you want to communicate. 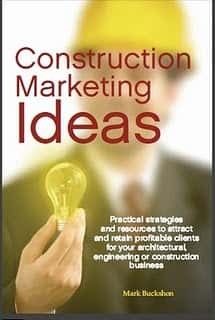 The go to it — you don’t need to spend a fortune, and even the most expensive option will be a drop in the bucket for a successful AEC business or practice.